For episode 23, Geoff Moes (@ThallidTosser on Twitter), Nat Moes (@GrandpaBelcher), and Josh Chapple (@joshchapple) bring back Andy “Brass Man” Probasco (@tmdbrassman) as a regular member of the crew. They discuss the things they missed in a year-long absence from podcasting, including Champs, format changes, and the Team Serious Invitational in December. Have You Seen These Decks? These decks were unwitting victims to the 2016 Banned & Restricted List changes. Following Champs, when players should have been interested in picking up and playing the first-place list from the largest Vintage tournament of the year – few did. The Restricted List changed the format, and Brian Kelly’s genius was all but forgotten. We also point out that the list’s infinite combo using Auriok Salvagers and Black Lotus is nearly unplayable online (without a lot of work), another strike for the deck in a format that is more and more online-centric. Similarly, The Answer (aka Blue Moon aka UR Control) disappeared after its four-of bomb Chalice of the Void was restricted. The deck was a metagame choice, doing well against Delver and Workshops with lots of flexible control. It leaned hard on Chalice, though, using it against cantrip-fueled blue opponents and skimping on its own one-drops to dodge the effect. Of course there are options to fill in the restricted cards, including potentially running Thirst for Knowledge, but the deck has largely disappeared. New decks are coming in, too. We talk about the new prevalence of Storm, the continued existence of URx Delver, and the rise of Monastery Mentor decks in its various form. We also take a look at Shops, with more creatures, big and small. And we talk a little about 5C Artificers. Artificers, as a tribe, have a lot of crazy members, notably Goblin Welder, Master Transmuter, and Stoneforge Mystic. This deck combines all of them into one crazy bomb-throwing machine. I don’t know that any of us have particular experience with the deck, but it looks like a ton of fun. There’s also a little about Jace, Vryn’s Prodigy, where we talk about his use in Dragon. Dragon may or may not be a metagame killer, but it finds great use for Jace, Vryn’s Prodigy, as both a card advantage tool and a discard outlet to get rid of unwanted cards in hand, namely Worldgorger Dragon. Having played it recently, it’s a fun deck with many strange interactions, and it has a real neat sideboard. Overall the format still seems like it’s changing – lots of fun stuff to do, or at least try. Following the Vintage Magic: The Gathering discussion, we look at drinks. Bad drinks. By its own admission, Malört is “Not for the faint of heart.” I, and some others at the recent Team Serious Invitational, tried it and found it bad but not as bad as advertised. I kind of wanted to mix it with a grapefruit shandy. The Jaegerita, however, is better. As described it’s mostly sugar and alcohol, so it can’t be too bad. 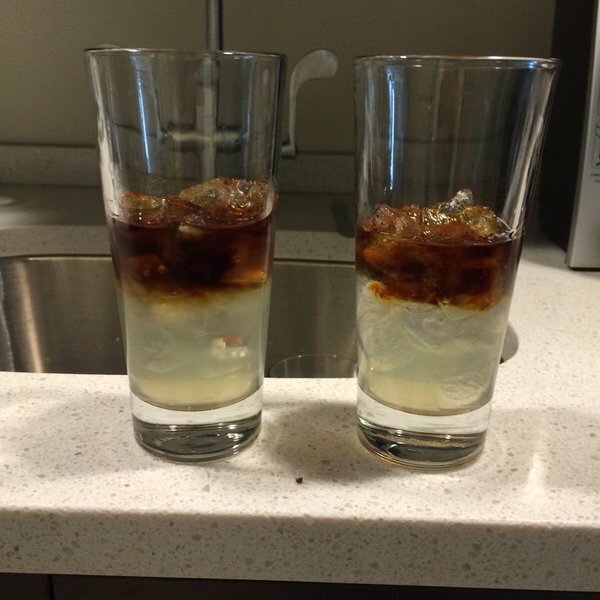 Pour a glass of margarita mix and tequila, and layer a shot of Jaegermeister on top of it. It looks like swampwater but it tastes like something else. I highly recommend them after great defeat, as a Jaegerita will lift one’s spirits. 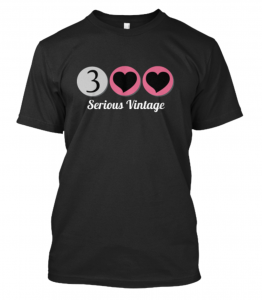 The Serious Vintage Podcast and Team Serious tournament streaming activities are done with love for the Vintage format and the community surrounding it. For the next three weeks (until February 23) we’re running a Teespring fundraiser campaign to raise money to improve podcasting and streaming technology (better mics, software, cameras and setup). You can help by ordering a shirt and showing your love for what we do. Several colors and sizes are available, including hoodies! Together we’ll cast Force of Love, targeting the Vintage format!